That heartfelt key pendant looks so delicate and pretty! Wow to all those earrings and other stuff, everything is really amazing! Not sure if my bank balance will last 7 days! Loving all the new to me lampwork artists. I am spreading the news! I posted to my FB pages and blog! I hope every one is making lots of sales! love the virtual craft fair! I was waiting until midnight, just to check in and see all the new wonders added to the first two days...everything is just beautiful! The shwo goes on with the most wonderful people and great giveaways. Thanks all for making the show great. Have a wonderful day, looking forward for more goodies to come ☺. Amazing..every day has been wonderful. Such creative people! A new day and again wonderful things from amazing artists. I'm thrilled. This VCF has been so much fun! Thanks for hosting it! This is a GREAT craft show!!! I am having sooooo much fun exploring all the cool shops ! I blogged about the show this week ! An other great day filled with talented artists. These giveaways are making me drool!Now it's back to the grind for me so have a wonderful day everyone. I am still drooling! loving the peeks at all the goodies! Coming back to check out Day 3 of the fair. Amazing amazing people. Have shared Day 3 on my FB page as well. I am so keen to win! I blogged about this today. My blog is also posted on Facebook. Thanks! Once again, some wonderful artists. And such an array of different items. I blogged about day 3 of the Virtual Craft show. Just tweeted about Day 3 of the Craft show. More beautiful pieces, this was such a great idea! Love that heartfelt pendant. Lampwork! Drool. Wow...the talent here is absolutely incredible! Can't wait to go check out the new shops. The artists are just amazing. So sorry I missed yesterday's. Jelveh's bead just knocked me off my chair! So thrilled with all the new artists (to me). Thanks again for hosting this Lori! Another great day! I agree, I hope my pocket book lasts as long as the sales. All beautiful work! Wow, Lori ... just gets better and better. I FB'd again. This has been so fun to meet all these artists. Beautiful work, everyone. I have blogged, tweeted and Facebooked about the show for day 3. Love this craft fair! I can actually get to all the booths! Another beautiful show! I enjoy seeing the lovely work of names I recognize and new folks to learn about! What a showcase of talent here!!! Beautiful offerings! I love this craft fair! A Beautiful Bunch of Lovelies. That icycle is gorgeous. I'm really loving stopping by each day to check out what's going on! So fun! I did another mention of the Craft Fair today on my blog as well - I can't wait for the rest of the week!! I love sally Russick icicle!!!!! I am spreading the word on my blog and FB. Lori, So far this has been a wonderful sale. I hope everyone is making a lot of sales. They all have such beautiful items in their shops. and more love on F.B. So pretty! Having the sparkly ornament as the first listing put me right in the holiday spirit for the day. Once again, these are some great items being given away and on sale. This is really a lot of fun! Thanks Lori!! Your virtual craft fair is great for the eyes and mind but bad for the pocket. Lovely work, ladies. Love, love, love! Again,thank you for the discovery of new folks. Wow, look at all the lovely creations! Another great lineup of artists. I can't wait to visit each site. More beautiful pieces to look at! I will be posting to FB later. Wow, there are so many talented artists out there. Thanks for sharing so many new people with me. Great items from wonderful artists. Great work Lori. Wow, how did I miss this great virtual craft fair till now, my email is on my blog, thanks for the opportunity and off to check the other days and the websites. Loving all the glass beads! So much fun checking out all the blogs, sales, etc! Beautiful work!! Think I'll add this link to my Christmas Wish List. Lovely participant today as well! I have facebooked about it again as well! This is so much fun! Love the sales! Wonderful designs, beads, and even books! Lori, thanks so much for hosting, such a great group to be included with, thank you so much!!!! Another set of fantastic giveaways! Sent a new round of emails out. Day 3 posted on my blog!! I would love to win the focal lampwork by Jalveh. Wow I am going to all of them to check out more goodies!!! Thanks to such a gracious host!!! Another wonderful group of artists! Everyone is doing such beautiful work and the photography is great as well! So loving this! I look forward to seeing new artists each day! Love everything that is being offered. Everyone is so generous. I'm enjoying this craft fair so so much! All the eye candy is making me drool - in a good way :-). Thanks again for coming up the idea and hosting it. Wow! What wonderful stuff!! So many talented artists featured here! That icicle ornament is super pretty. I bet it sparkles! Love the Craft Fair, Lori! More lovely pieces!! Have just twittered and posted on FB! Oh wowsers! More and more wonderful giveaways and coupons! Such talent shared here once again! I shared on my FB as well, personal and fan page. Wow! So many gorgeous focals and that ornament is to die for. will make sure to post on my blog and Facebook and tweet too. Thank you again Lori for put this all together for us. 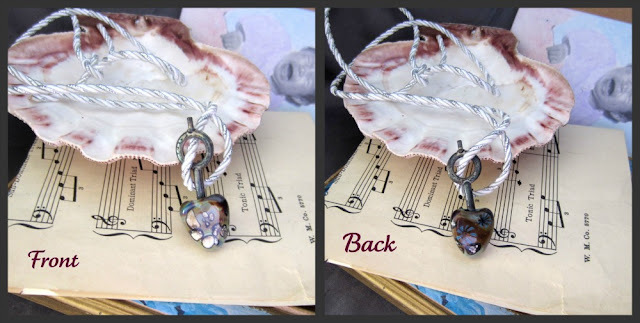 There are many wonderful artists on this blog hop. Thanks for sharing these talented designers with us. Don't mean to play favorites, I really think everyone is showing exceptional talent, but a few of these will end up on my next blog posting! Wow, I almost missed this entries offerings! Love the work shown here! What a great idea!And for me to fine easily great artist with their works as an inspiration. Gosh, there are some great things to win here!!!! Some beautiful things! I would love to win. 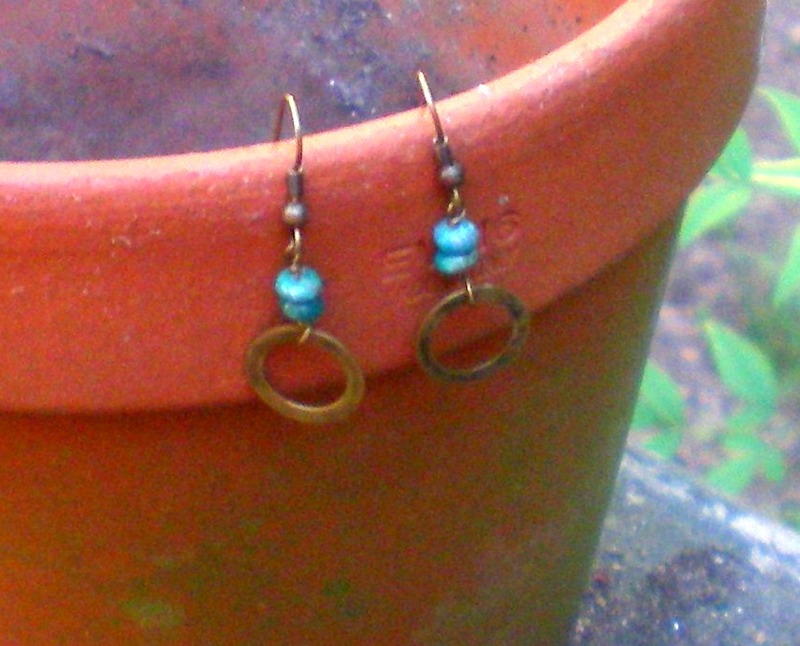 Love those Sea Tempest earrings! Love looking at all the goodies! Love all the handmade beads! So many beautiful things! Stupid day-job keeping me from enjoying myself online! some beautiful lampwork up for grabs! More fabulous pieces of art.. good luck to everyone.. going to go enjoy the eye candy some more. Wow what a great idea!! What rock did I have my head under, and missed this! Lori, you come up with the best promo ideas. Looks like everyone is having a blast! What a great idea for a craft show. Should be called artist party. I love the bear and jewelry. I am passing the word to friends. Really amazing. I am telling my friends. Super ARTISTS. What a wonderful idea. The owl necklace is my favorite. I will be following the artist on etsy. Wendy Blum, what a great idea to give a beautiful pair of earrings and then two books for inspiration! Everyone else's contributions are terrific! I'm more than inspired! 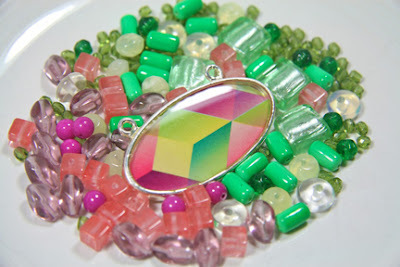 I want to expand my creativity to more than just stringing beads. I'm sure there's more to come. The discounts are great. Love this viruall craft fair!!! So many unusual pieces...wohhh!! I'm in love with the handcrafted icicle ornament! So very pretty! All of the items are wonderful! Another gorgeous day of beauty! 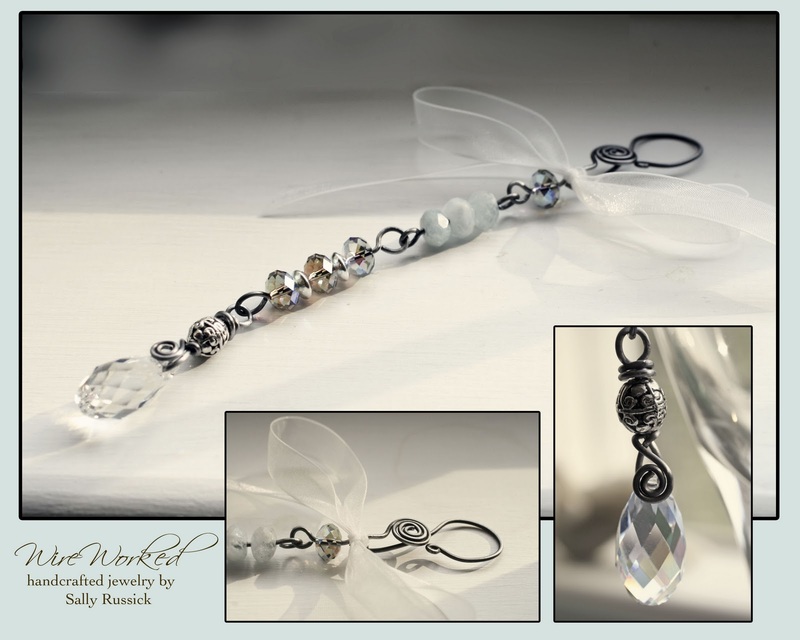 I particularly LOVE that crystal icicle...perfection! I have FB'd and pinned...not that that was one of the options LOL. Since I've made a few necklaces, I think I want all those beads! BEAUTIFUL! so glad people are still stopping by to see the designs/designers! hope to see some of these new faces on my site and facebook page! i have fbed and blogged every day! thanks for doing this~! Beads, beads!! Loving them all! what a feast! each day is full of lovely treasures. So many lovely things! I'm glad I have a day off today so that I can spend a bit of time looking through everything. 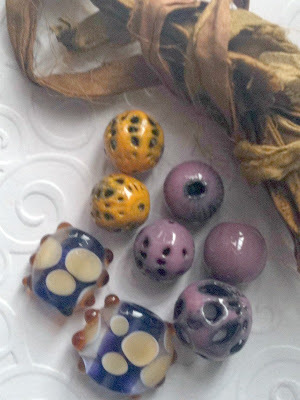 i just love handmade beads!